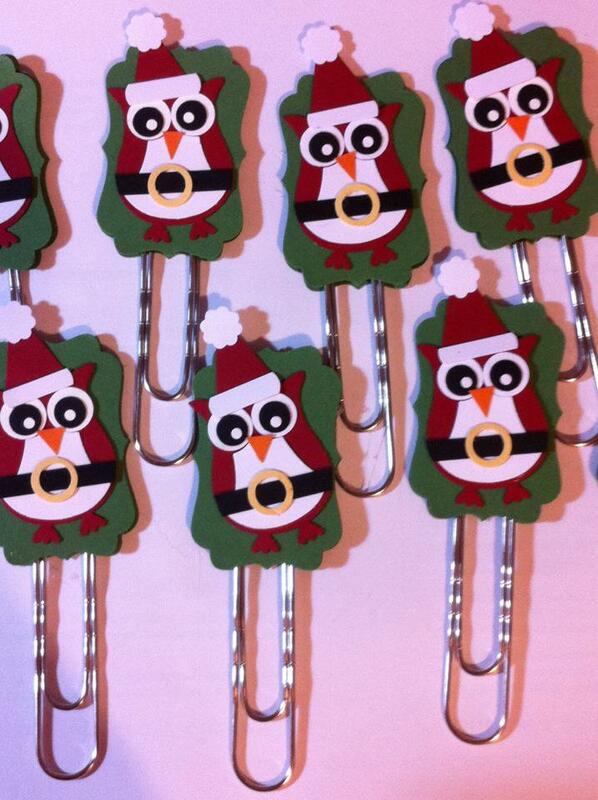 I've been busy this weekend making some things for my craft fairs. Sorry for the poor photos, they were taken from my phone, so not the best quality. I made some cute reindeers using the owl builder punch and turned them into bookmarks and reindeer dust. 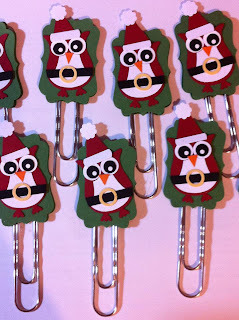 I made some cute santa owl bookmarks using the owl builder punch again. And my favouriate....some candy cane santa's using lots of SU punches and some of the new stitched ribbon. 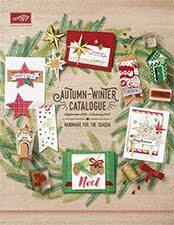 I'm just about to made a page with details of the craft fairs I'll have a stall at, please pop along and say hello. 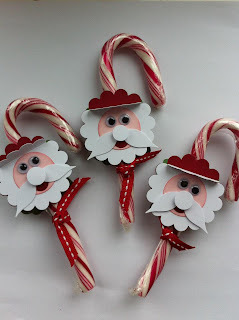 I too do craft shows and would love to know how you made the Santa candy canes and if they sold. I love those Santa Candy Canes, too and would love to know, how they were made. I have a great hubby and two fantastic little boys and a baby daughter. 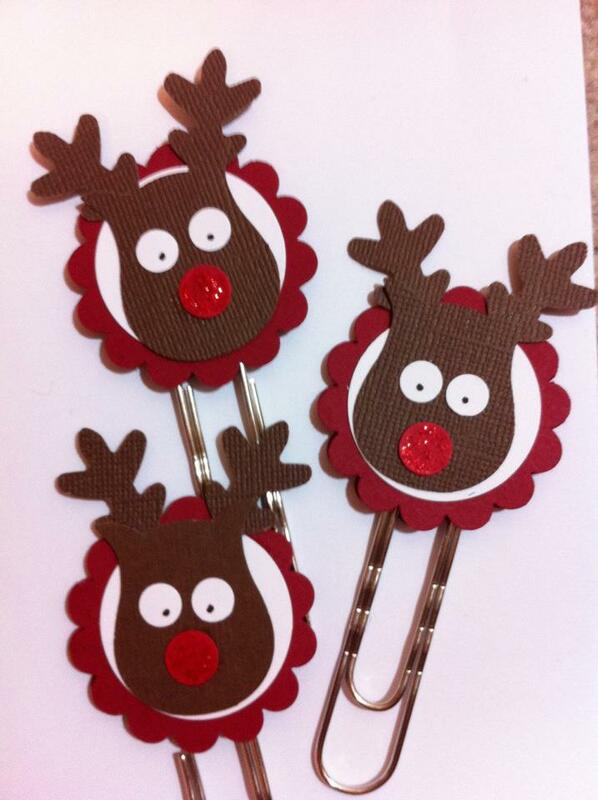 Once the kids are tucked up asleep in bed I can get my crafting stuff out. 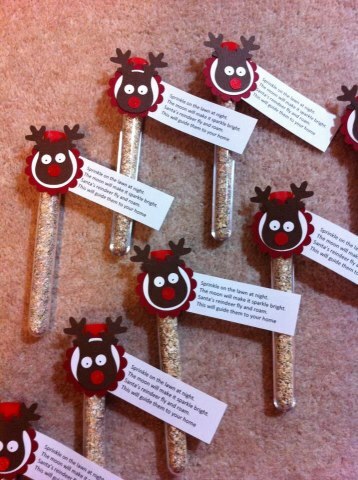 I try to get the kids involved in crafting, my boys love making birthday and christmas cards for relatives! Got to start them young. Hubby is more interested in football but I have been known to get him cutting and sticking. 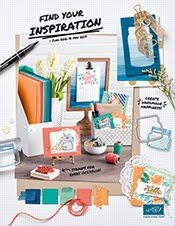 I've been into some form of crafts since I was little, I started card making about 15 years ago and has became a passion for the last 8 years. What to join my team. Click here to take you my online independent demonstrator application form. In the starter kit you get to choose £130 of product for £99. Bespoke envelopes for my Groovi cards!